Bake at 325° for 1-1/2 hours or until center is almost set. Cool on a wire rack (center will fall). Remove sides of pan. 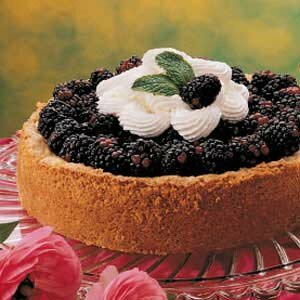 Top with whipped cream and remaining blackberries. Refrigerate any leftovers. Makes 12-14 servings.